And when you come before God, don’t turn that into a theatrical production either. All these people making a regular show out of their prayers, hoping for stardom! Do you think God sits in a box seat? “Here’s what I want you to do: Find a quiet, secluded place so you won’t be tempted to role-play before God. Just be there as simply and honestly as you can manage. The focus will shift from you to God, and you will begin to sense His grace. “The world is full of so-called prayer warriors who are prayer-ignorant. 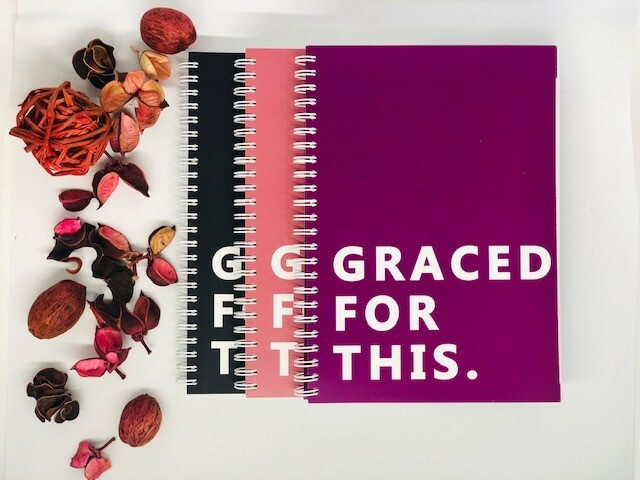 They’re full of formulas and programs and advice, peddling techniques for getting what you want from God. Don’t fall for that nonsense. This is your Father you are dealing with, and He knows better than you what you need. 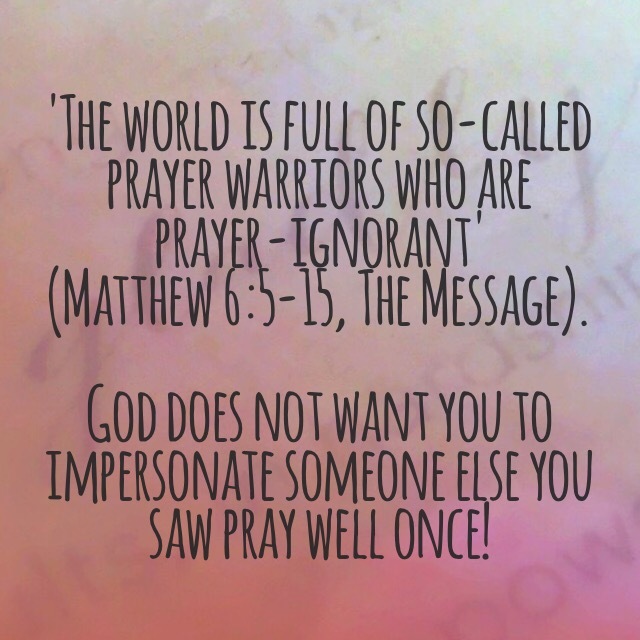 God does not want you to impersonate someone else you saw pray well once! He wants you to be you and believe me, He really can handle you being you. Remember, God is not giving you points for a great performance – this is not a talent show! – rather He desires to connect and communicate with you, heart to heart. When you read through the gospels you see that Jesus had a problem with the performance and hypocrisy (pretence) of the pharisee, not the honest cries of everyday folk. Be honest; God can handle the truth and can’t be shocked by you or how you may be feeling. Let Him know what you love and hate, what makes you happy and what causes you sadness. As with Jeremiah He has known you from before you were born, He did not suddenly notice you when you got saved. When we understand this we can throw away every dusty, wrong-fitting costume that religion and ignorance have convinced us to stupidly wear. Champion, God knows you, loves you and wants to spend time with you in two way conversation – that is prayer.